National Tax Number Certificate, which is issued by the Income Tax Department on the filing of application form accompanied with one attested copy of NIC. 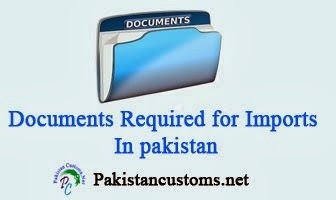 Current Bank Account is required for import proceedings and documents. Sales Tax Registration is required to import into Pakistan. For registration, Form ST-1is required to send to the local sales tax registration office via post with acknowledgment due (courier is preferable). The local registration office shall transmit filled up applications to the Central Registration Office based in CBR Islamabad. The previous requirements of furnishing supporting documents have been done away now there is no need to attach any document with the application. The Central Registration having on line access to the database of NTN as well as of NADRA shall verify the particulars declared in the application with database. On verification, it shall generate and issue a registration certificate to the applicant directly on his given address. Membership certificate of Chamber of Commerce and Industries or any relevant trade association of Pakistan.